It's another Stamp of the Month Blog Hop with Close To My Heart and September's cute fall-themed set is called "Fall Favorites." 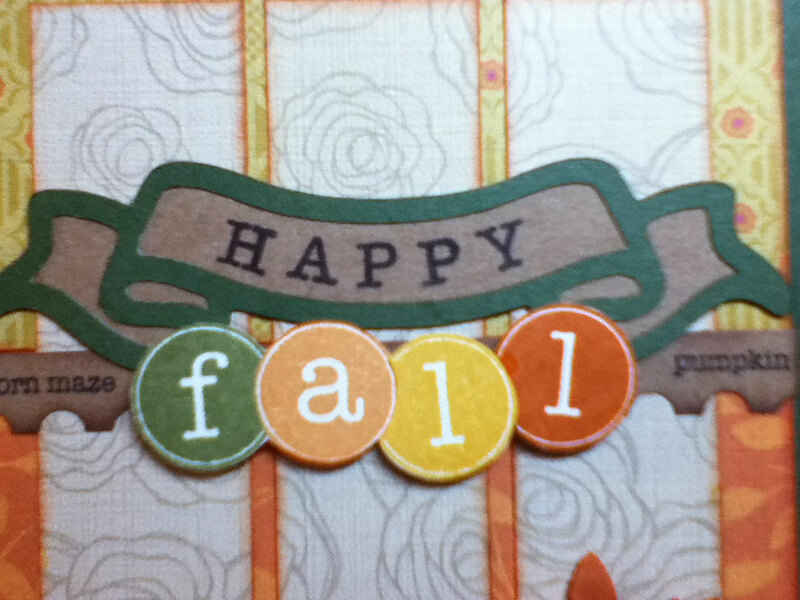 It contains seven images and several seasonal phrases perfect for fall cards and projects. You can view all the images in this set in the right-hand column of my blog page. Over 60 consultants are participating in this month's Blog Hop so you're sure to get lots of inspiration. If you're already hopping, you came here from Amy McVey's blog. To see where to go to next, keep scrolling through my post to the end. Okay, so I'm not real happy with my daughter right now because just as I am ready to take photos of my card for the blog hop and place this post, I realize she has taken my camera to the movies with her. I texted her just now: "Please tell me you did NOT take my camera with you." I grabbed the video camera to take a still shot, and OF COURSE, it hasn't been charged in a while and is totally D-E-A-D. So my only other option is my iPod Touch. Now is when I'd really love to have an iPhone because the quality of the iPod Touch is not great, as you'll see. So you'll have to forgive the quality this month and encourage me not to ring my kid's neck. 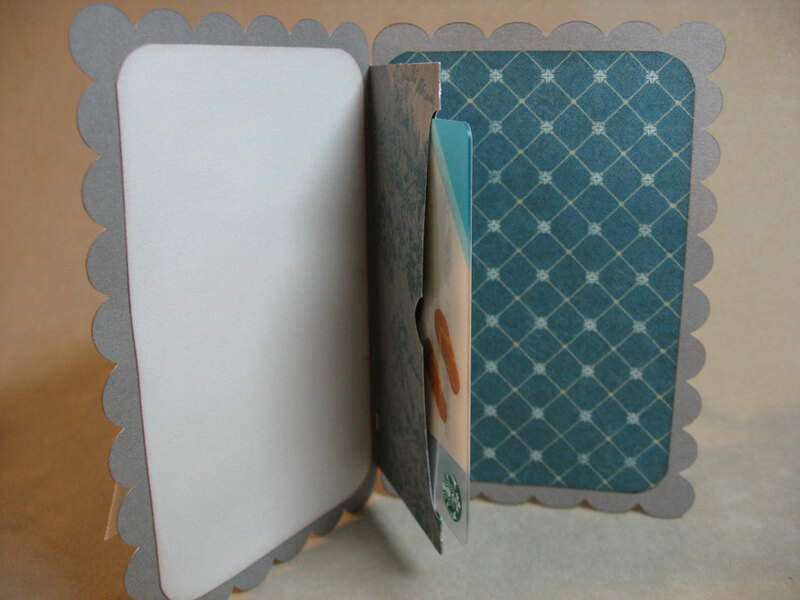 It's a 5 x 7 card on New England Ivy card stock and the papers are from the new Flirty paper packet. I tried to take several close-ups of the scarecrow, but no-can-do with the iPod Touch. But I CAN tell you that I am really enjoying Close To My Heart's new alcohol markers. So easy to blend. I loved coloring in the scarecrow with them. 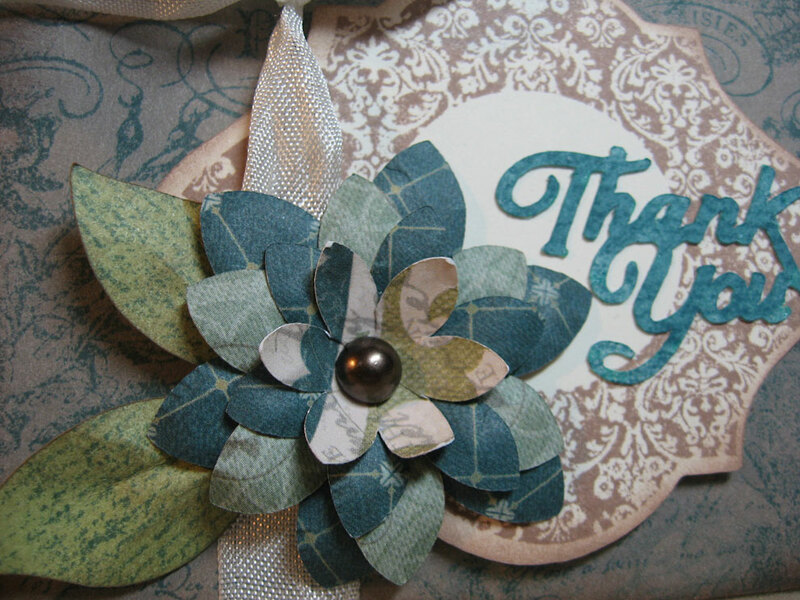 In the lower right corner are some of the new Just Blooms Floret Paper Shapes layered up and topped off with a wooden button. For the word "fall" I stamped it four times in four different colors: New England Ivy, Goldrush, Honey, and Autumn Terracotta. 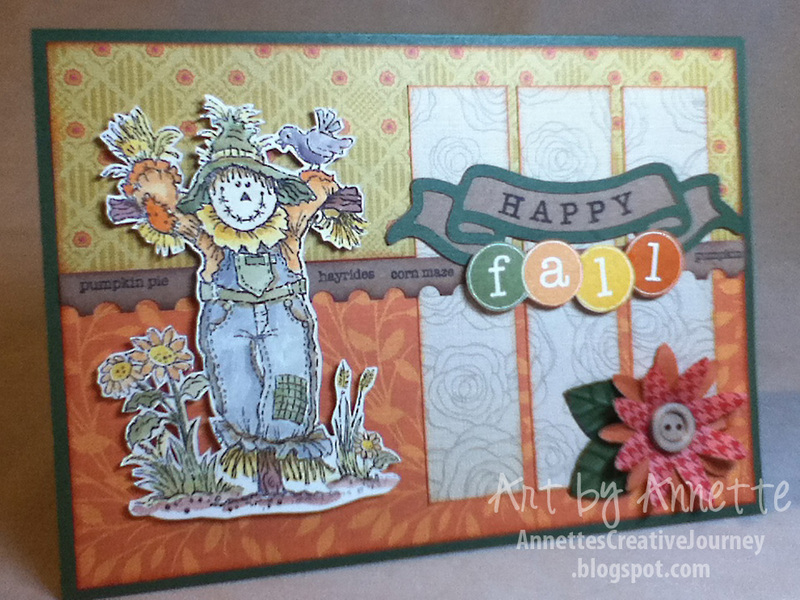 Then I used the Goldrush one as a base and cut around the stamped image. 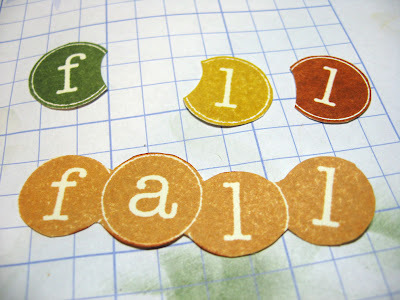 Then cut the other letters as shown so I could paper piece them back together. The Happy banner is a cut from the new Artiste Cricut cartridge and the letters are stamped using the Tiny Typewriter alphabet, one of my go-to favorites for small words. Thanks for stopping by and putting up with the blurry photos. 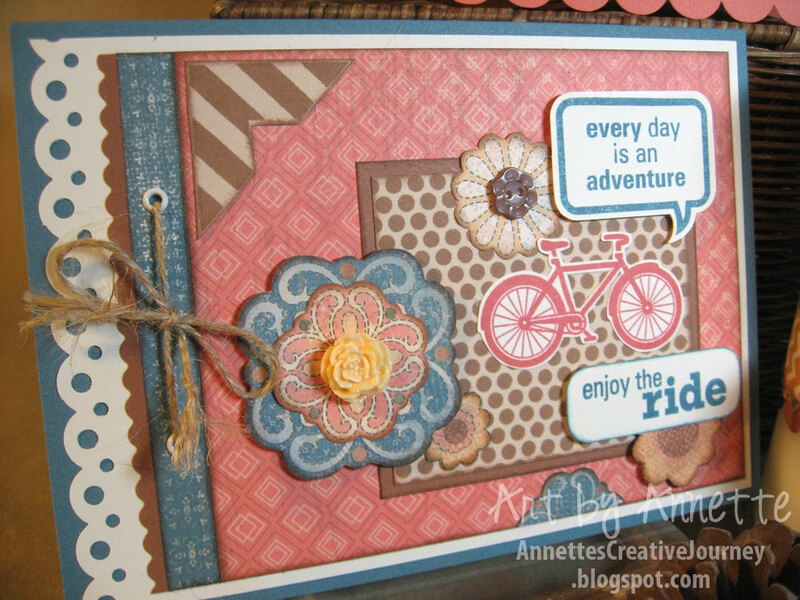 Onward through the Blog Hop. Next up is Doreen Guilfoyle's blog. Let's go check out what she's created. 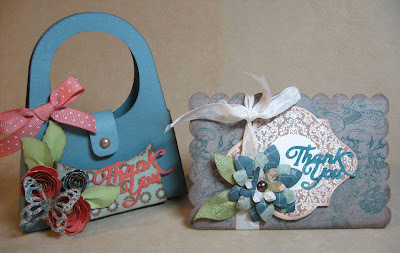 All week I've been posting creations with Close To My Heart's new Artiste Cricut cartridge and newest paper lines. 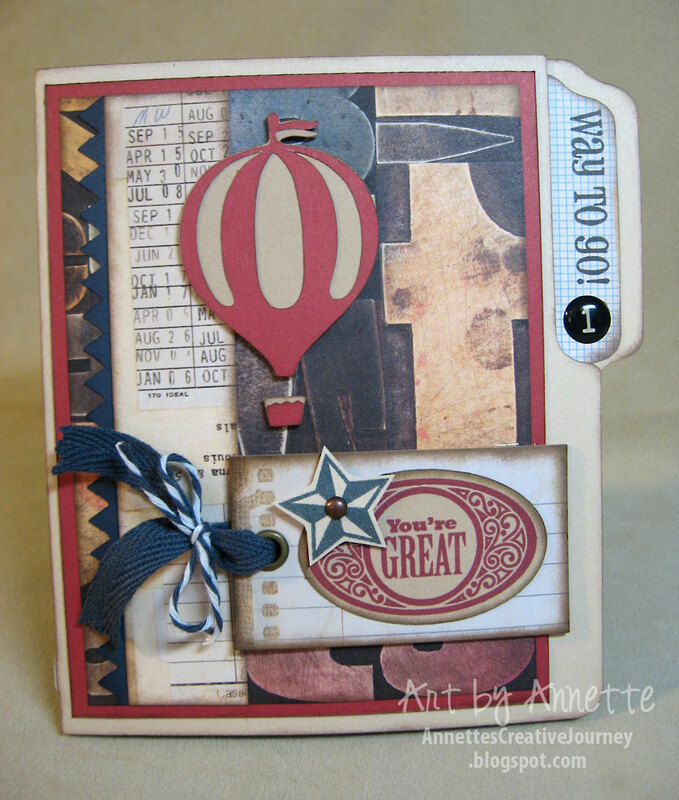 Today is my final feature and I'm showcasing the gorgeous new Pear & Partridge paper packet. 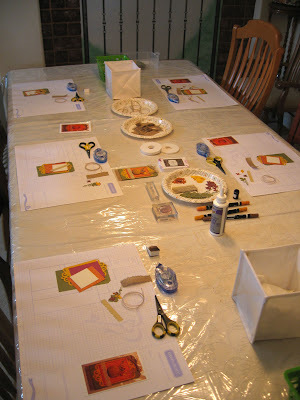 With the help of fellow consultant DiAnn Denson, we came up with these fun holiday creations. 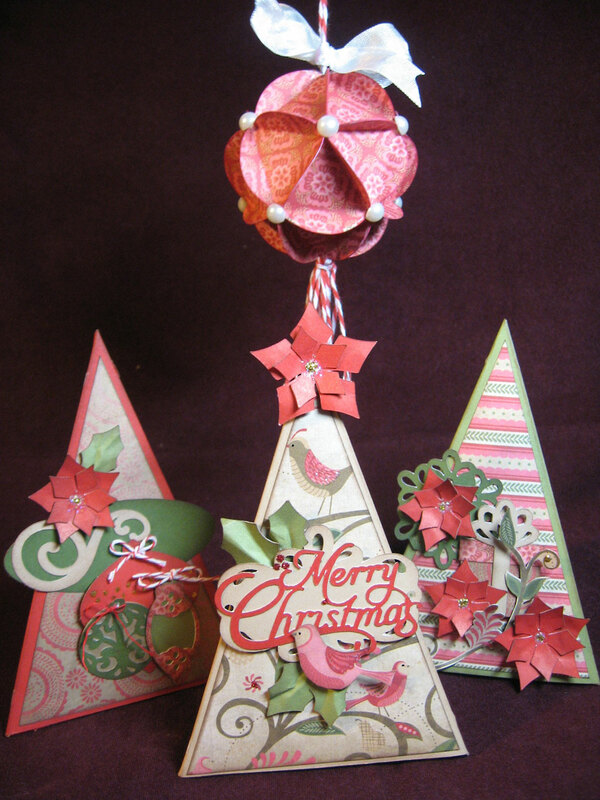 Three trees and a 3D ornament. 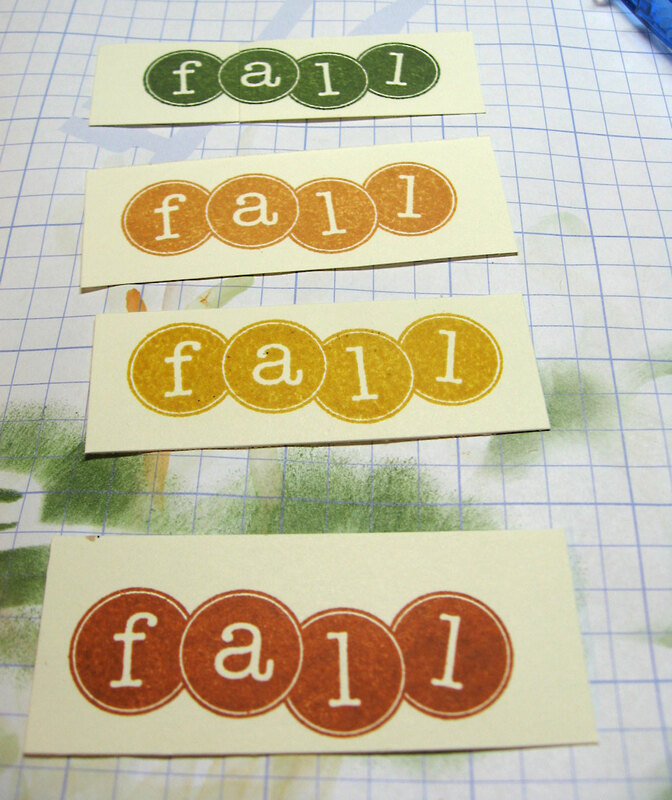 The trees are featured on page 50 and are cut at 5 1/2". Then assembled, they stand 5 1/4" tall. You can't imagine how many photos it took to get this in focus. My teenage daughter was holding the hanging ornament and it kept swinging. The more she tried not to swing it, the more it swung and the harder we laughed. First the ornament. The cuts for this are on page 57 of the Artiste booklet cut at 1 inch each. Basically you cut 20 circles (each with scores) then fold and glue them together. Assembly for this is not exactly clear, even in the assembly booklet so I will be offering a video tutorial in the near future. 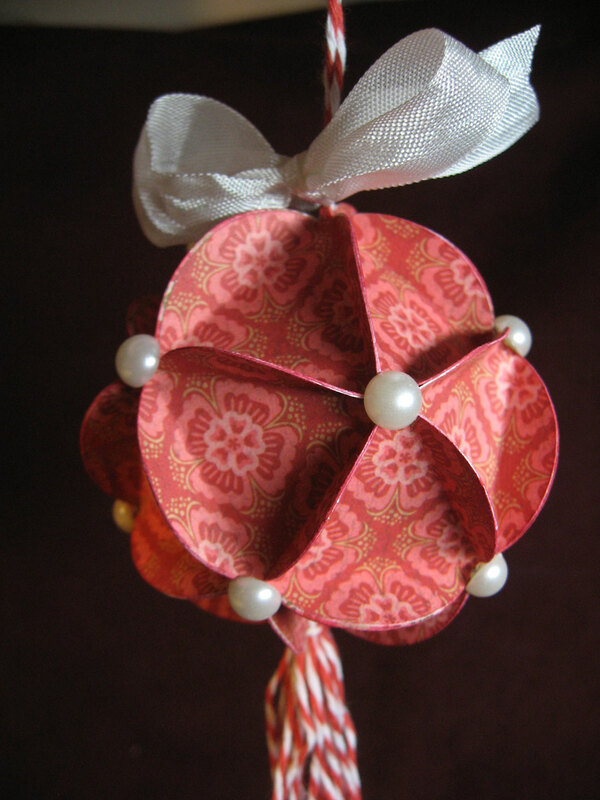 I added some pearl gems to all the connecting points and seam binding to the top. Cranberry baker's twine serves as a hanger and a tassel. All of these details will be included in the video. Here's a closer look at the Christmas trees DiAnn created. 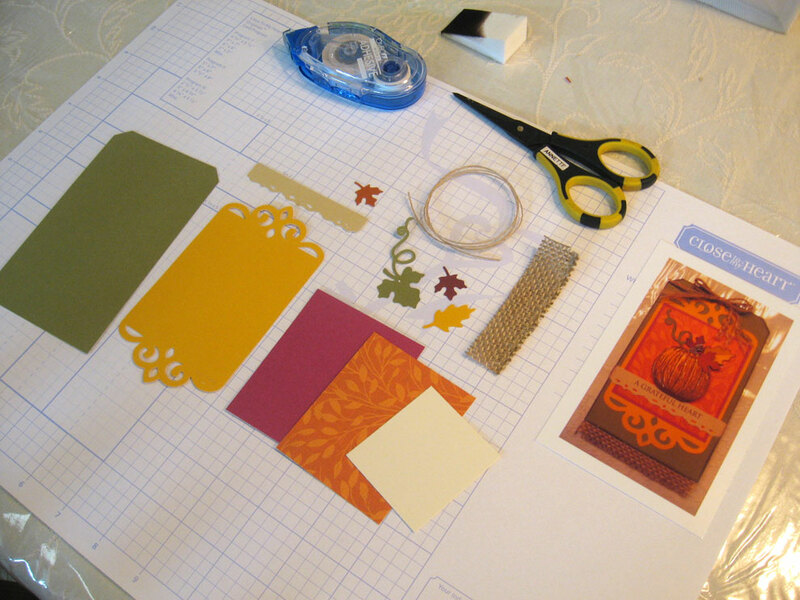 The holly leaves are cut from the Art Philosophy cartridge at various sizes. The rest is from the Artiste cartridge. 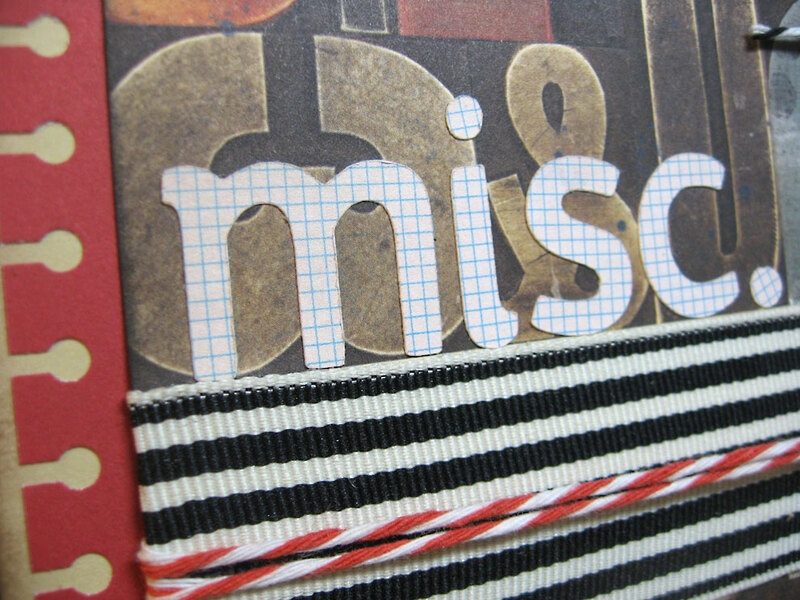 Merry Christmas is from page 80 in the Artiste booklet cut at 1 1/4 inches. The accent behind it is from page 33 cut at 2 inches. 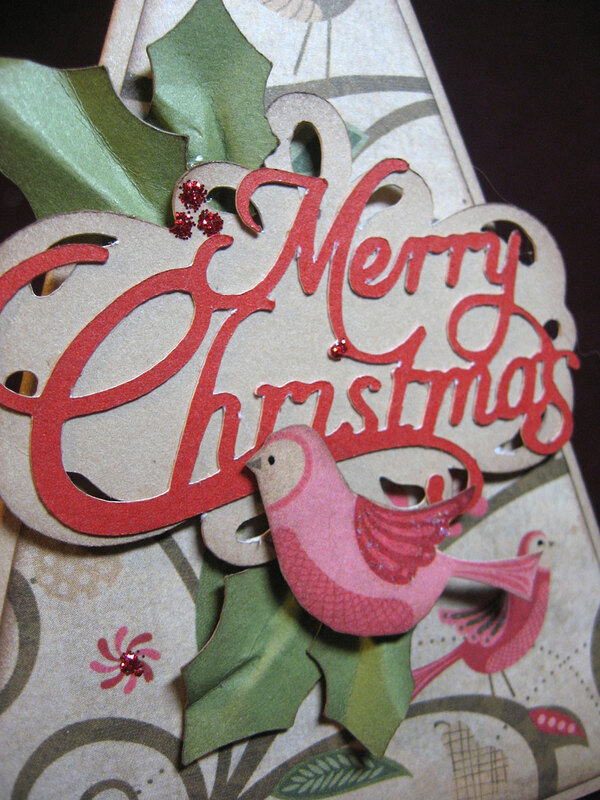 The cute little partridge is cut out of the B&T paper. All the ornaments are found on page 53 and are layered up beautifully with cardstock and B&T paper. 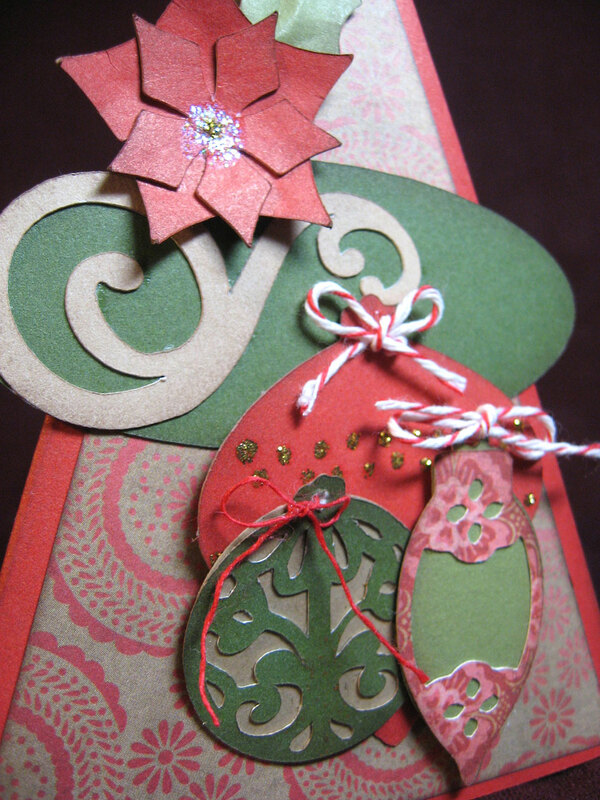 The Cranberry one in the background is 2", the long tall one is 1 3/4" and the round one is 1 1/4". 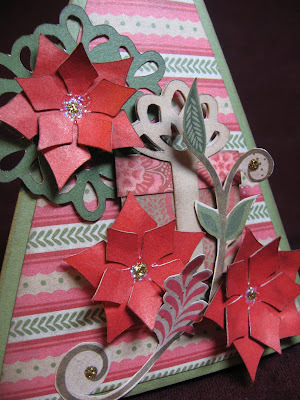 The poinsettias are probably my favorite. 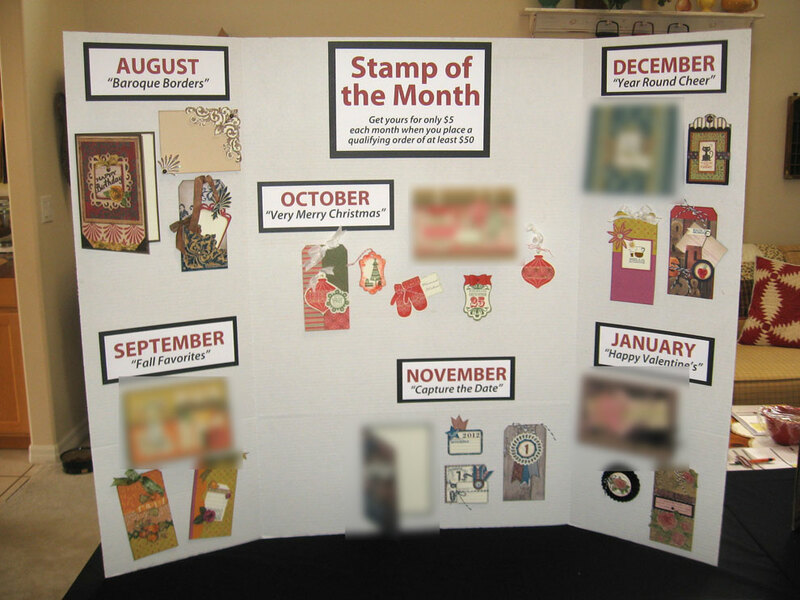 They are on page 80 in the booklet and DiAnn has cut them two sizes and layered them up. 1 inch and 1 1/2 inch. She added some Silver Glitz Glitter Gel to their centers for added sparkle. The green accent behind the top poinsettia is from page 33 at 1 3/4". Did you notice the little present hidden behind the poinsettias? That's from the Art Philosophy cartridge featured on page 60 cut at 1 3/4". I hope you've enjoyed this week of Artiste cartridge samples. If you missed any, feel free to go back and check them out. All week I'm posting creations with Close To My Heart's new Artiste Cricut cartridge and newest paper lines. Today's feature is the Dakota paper packet which is perfect for those masculine-themed projects. Literally every cut in these two projects is from the cartridge. And they came together in a snap. 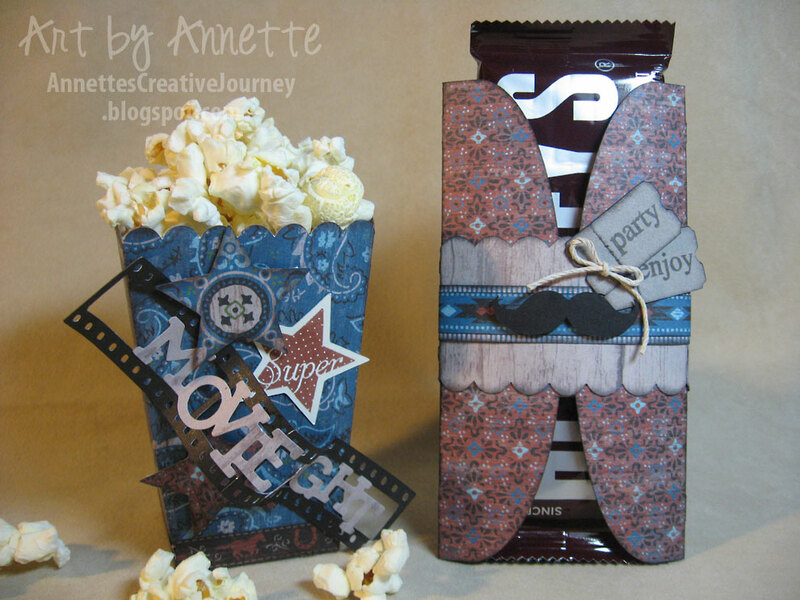 Candy bar wrapper and band: pg. 42, 5 1/2 inches. The movie film reel is from page 67 cut at 1 inch. You have to cut two pieces and connect them. 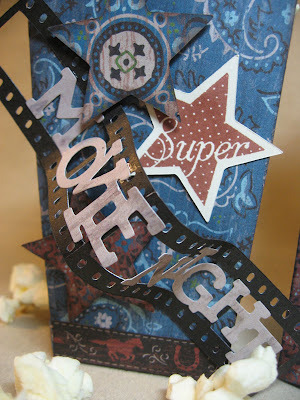 The words Movie Night are on the same page, cut at 3/4 inches then glued to the film reel. 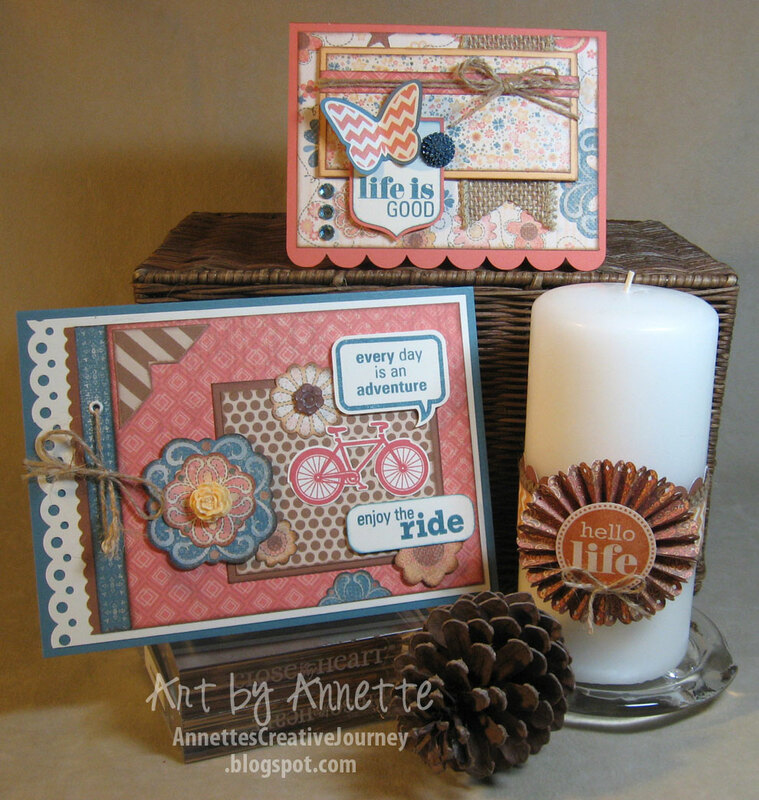 The stars are from page 68 cut at 1 1/2 inches and the one stamped with "Super" uses one of the exclusive stamp sets which comes with the Artiste bundle. 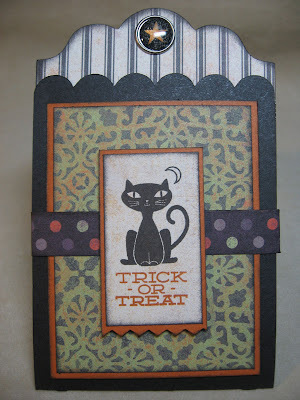 I love the woodgrain in this B&T paper, and the zip strip off the top of the paper is great as an added embellishment going around the candy wrapper. 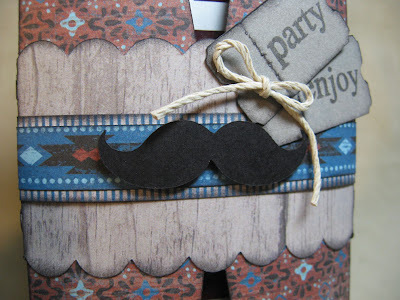 The mustache is on page 67, cut at 1/2 inch and the tickets are on the same page, cut at 3/4 inches. That's it for today. Stay tuned for more tomorrow and have a great day! 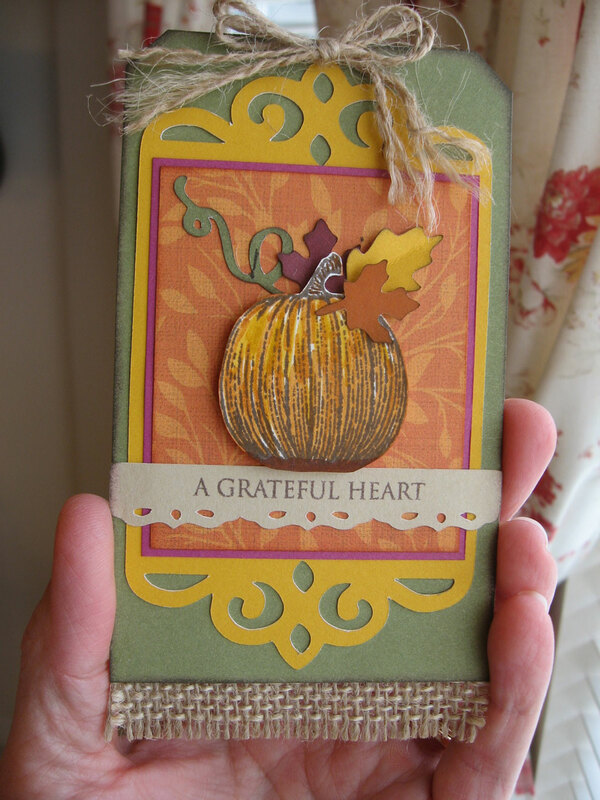 All week I'm posting creations with Close To My Heart's new Artiste Cricut cartridge and newest paper lines. 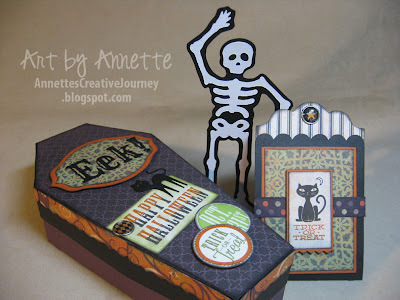 Today's feature is the Moonlight paper packet which is perfect for all your Halloween projects. Here are a few projects I had fun making. This little treat pouch is so cute and so easy to whip together. 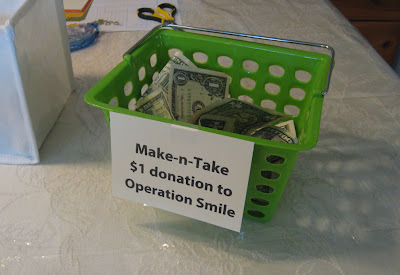 You could easily make up a bunch for your trick or treaters. It's on page 57 of the Artiste booklet. I cut it from black cardstock and then again with the striped B&T paper as a liner. The star brad at the top is from the Haunted Assortment and the cut cat stamp is from the December Stamp of the Month (to come). This coffin is on page 76 of the booklet, cut at 7.5" as directed. This is rather large. I think it would be fun to make tiny ones with treats inside too. The stamp set I used here is called Perfect Fit - Halloween. 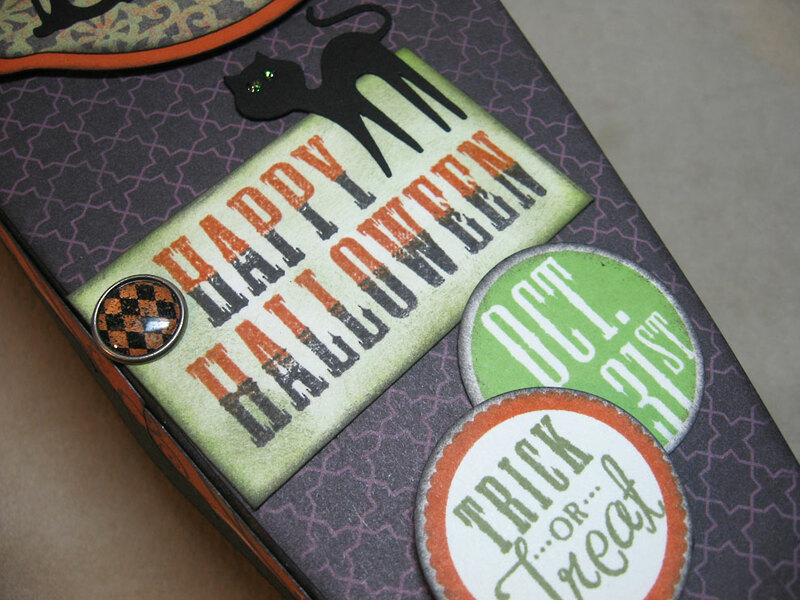 The black cat is on page 76 in the booklet and I used our new Green Glitz Glitter Gel for the eyes. I added another Haunted Assortment brad to this project. This is a favorite of mine. Also on page 76 in the booklet, this Eek! is perfect. The frame behind it is on page 77 in the booklet. I nested one over another at 1/4" difference in size. Finally, this guy. 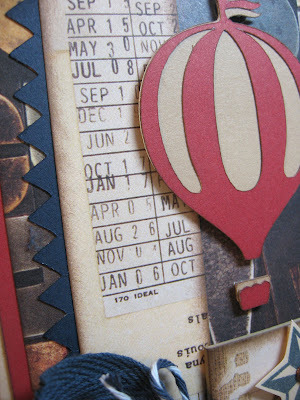 He's on page 76 in the booklet as well and as you can see, he cuts in three pieces. Better than putting all those bones together one by one. 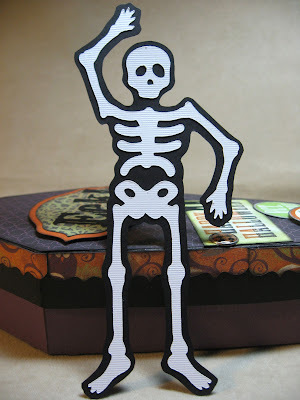 I mounted him onto black cardstock and cut around him closely. He's naps in the coffin. 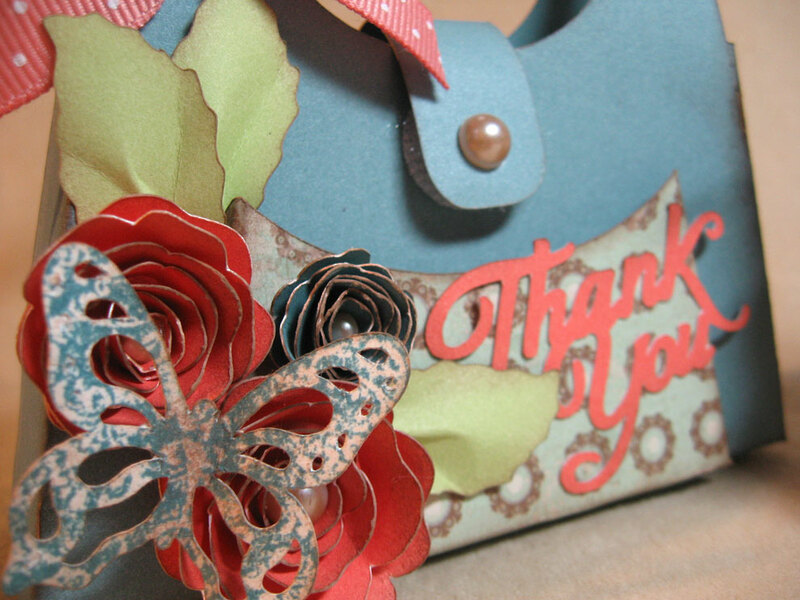 Thanks again for stopping by today. 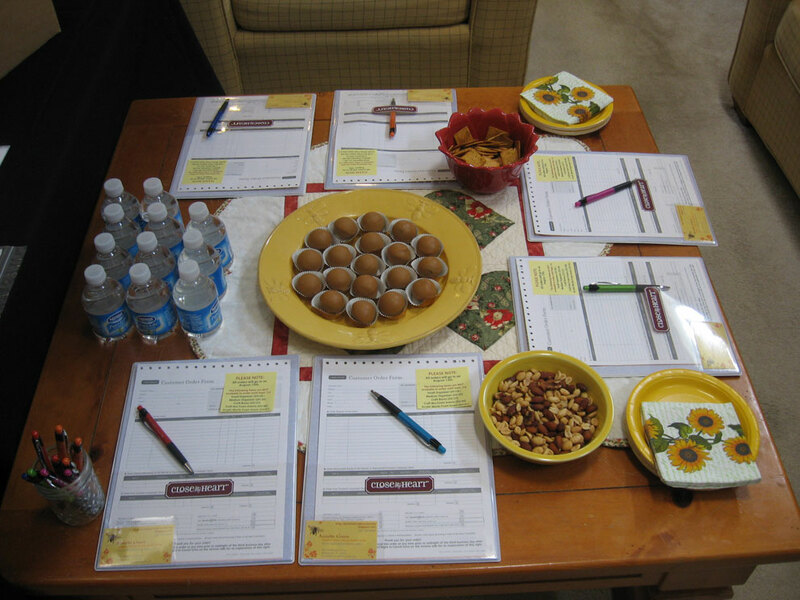 Hope you like the projects. More to come tomorrow! All week I'm posting creations with Close To My Heart's new Artiste Cricut cartridge and newest paper lines. 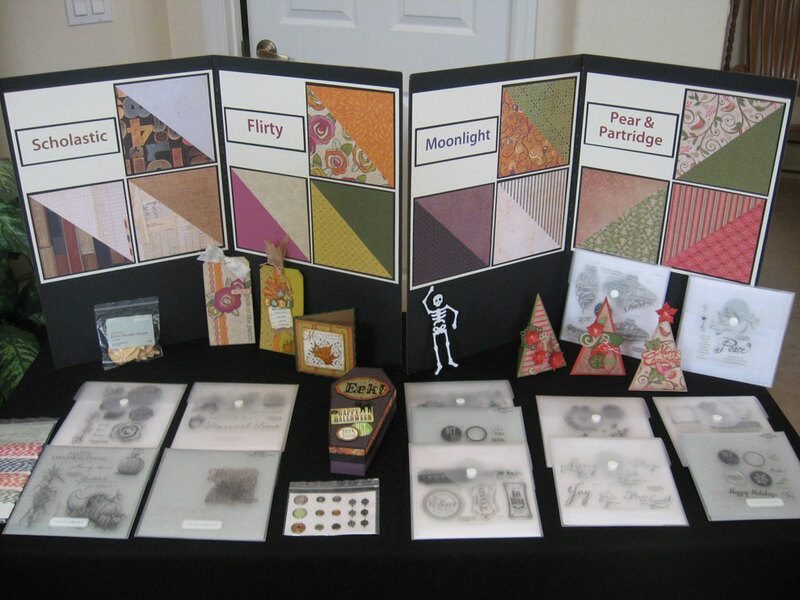 Today's feature is the beautiful Avonlea paper packet and artwork created by fellow consultant DiAnn Denson who helped with my open house samples this season. The cute little purse on the left is from page 41 in the Artiste booklet cut at 5 inches, and the card on the right is from page 59 and is no ordinary card cut, as you'll see in a minute. 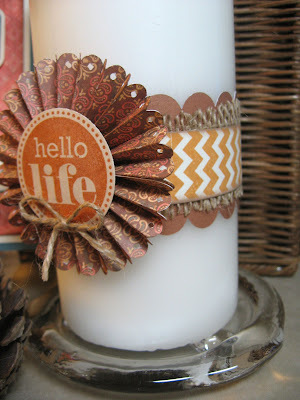 So many great little Cricut cuts on this one. Butterfly: pg. 58, 1 1/4"
Thank You: pg. 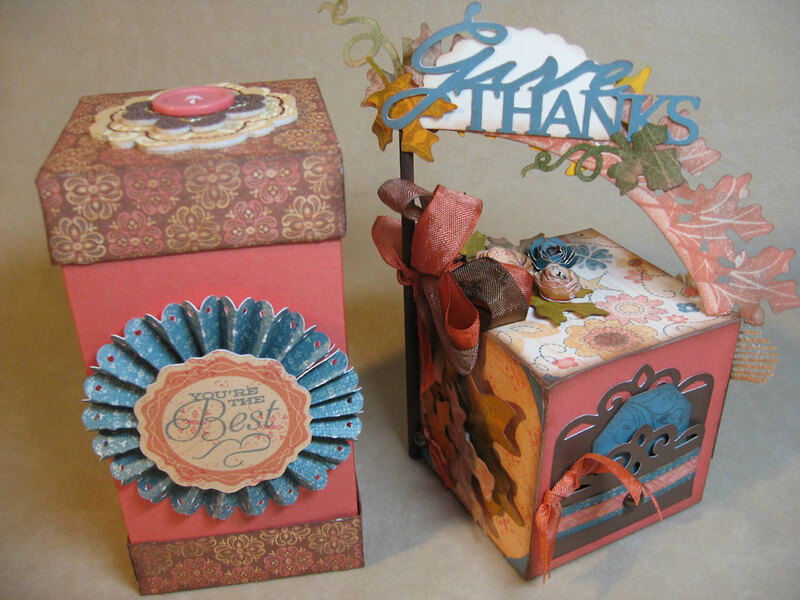 65, 1 1/4"
This gift card holder is going to be a favorite of mine this season since I love to give gift cards during the holidays. 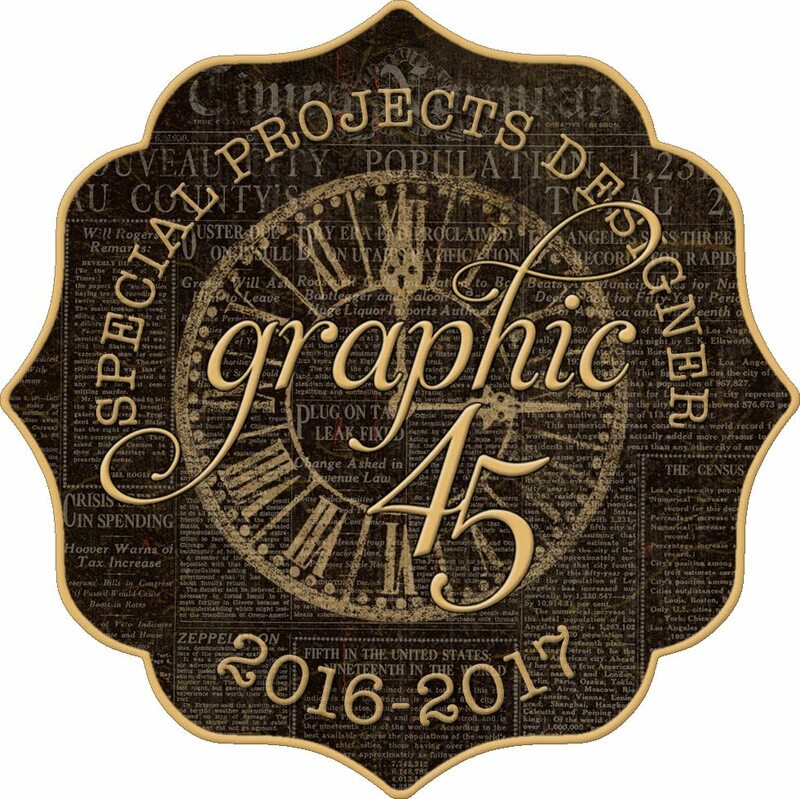 The Artiste cut for this one is on page 59 cut at 3 1/2". 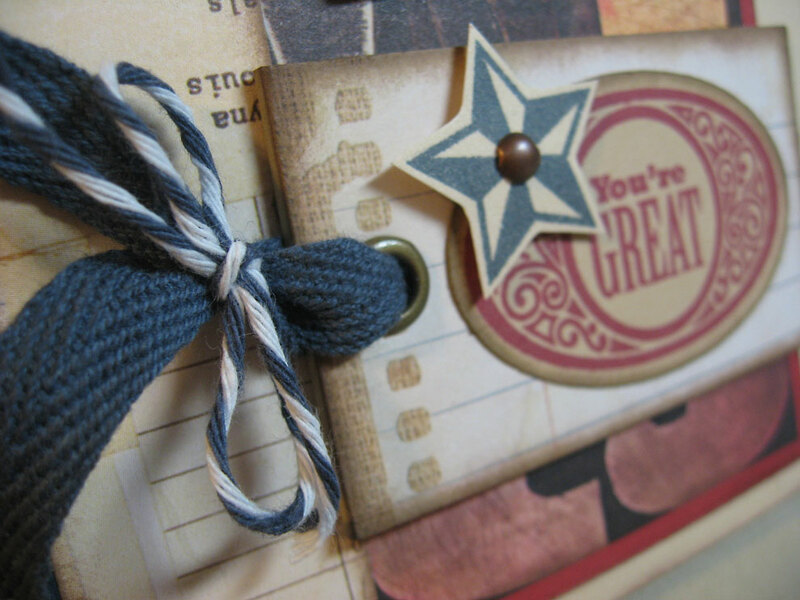 The large stamped frame in the background is from the stamp set "Perfect Fit - Frames." 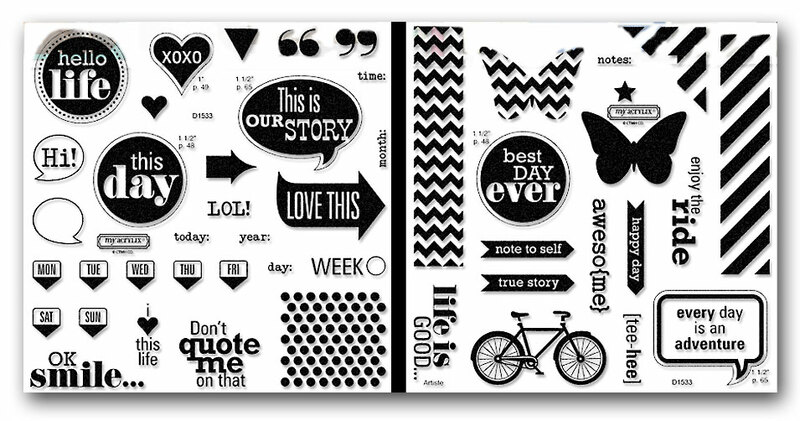 All four images in this versatile stamp set have coordinating cuts on the Artiste cartridge. The flowers are from pg. 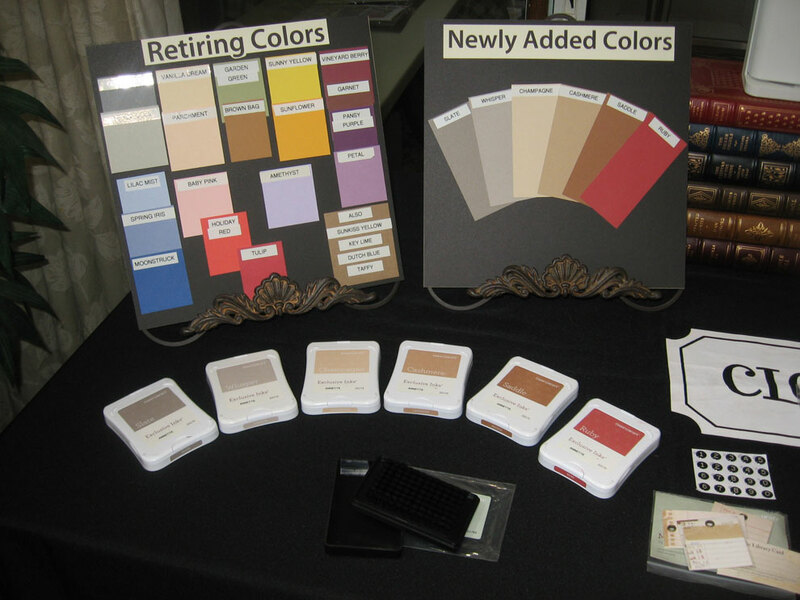 73 in various sizes and layered. The Artiste cartridge sells as a bundle from Close To My Heart for $99 retail. 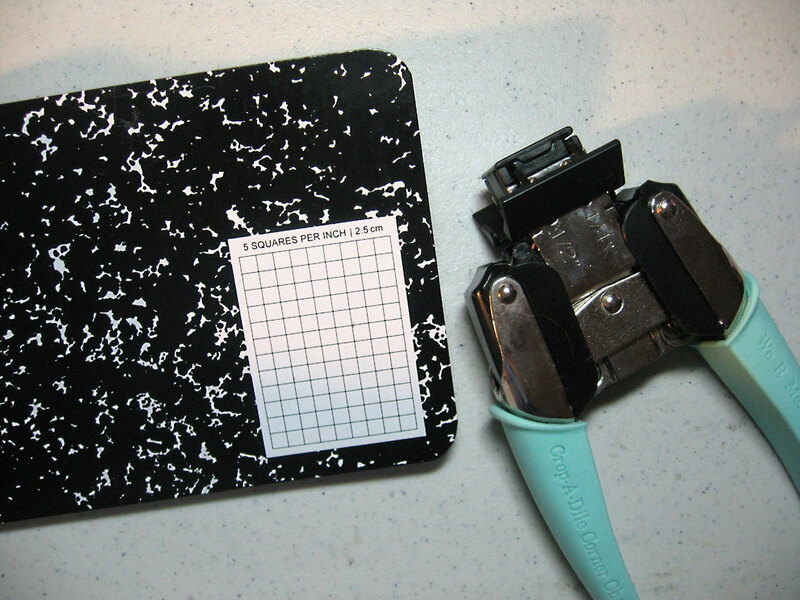 The cartridge comes with the standard Cricut booklet plus a bonus booklet showing assembly of many of the 3D items, which this cartridge is full of. 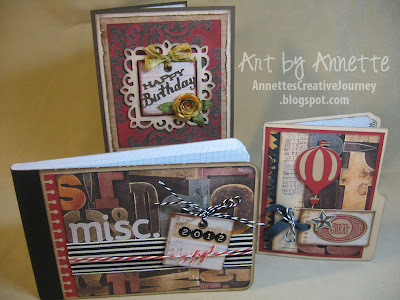 Also included are three D-sized stamp sets for all occasions plus three sheets of chipboard shapes. 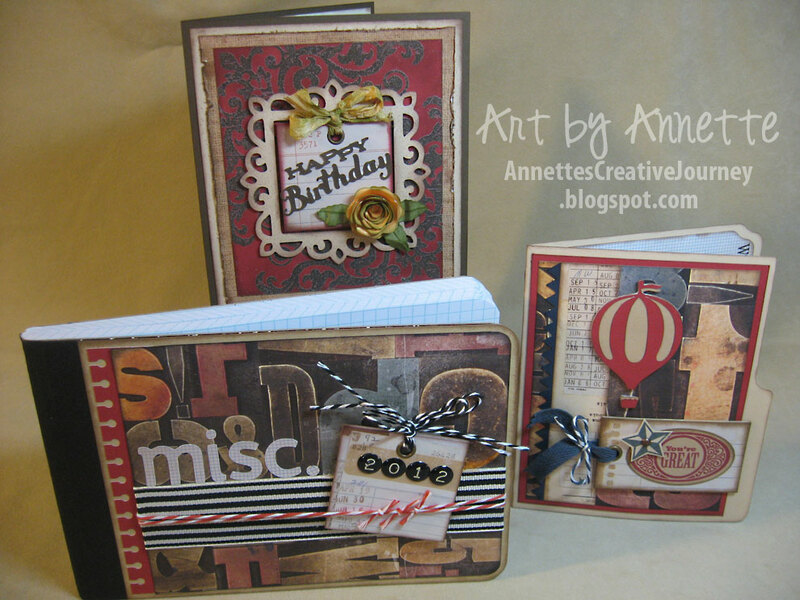 Both the stamps and the chipboard shapes coordinate with Artiste cuts which makes your paper crafting that much faster and easier! 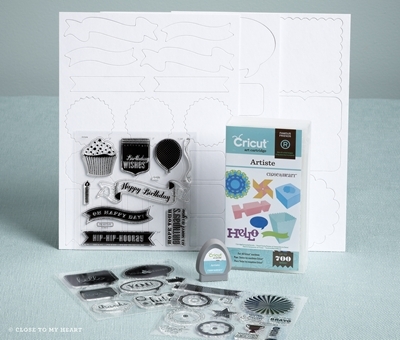 You can order your Artiste Cricut bundle here along with all the products featured on today's blog post. Thanks for stopping by. I'll see you tomorrow! 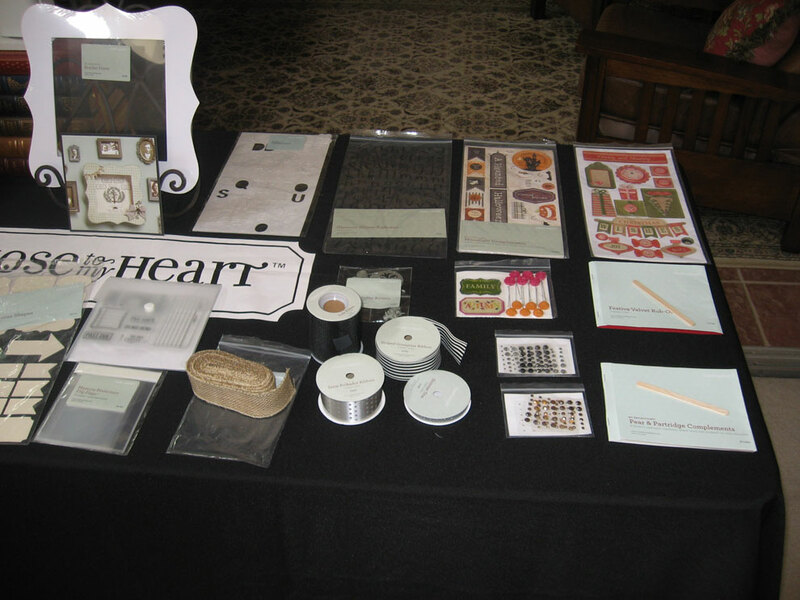 This week I'll be showcasing the new Close To My Heart-exclusive Artiste Cricut cartridge in conjunction with some of the new papers from the Autumn/Winter Idea Book. Each day, I'll share different samples created by me and fellow consultant DiAnn Denson. Let's talk about that $99 price point. Consider that one D-sized stamp set costs $17.95. Three of those are $53.85. Then three 9 x 12 sheets of chipboard shapes @ $4.95 each comes to $14.85. So far we're at $68.70. Cricut cartridge fans are already realizing the value here because the remaining balance means the Artiste cartridge is only $30.30. With 700 images like themed projects, cards, fonts, shapes and 3D items, this is no basic cartridge. This is an incredible bargain and a year-round favorite! 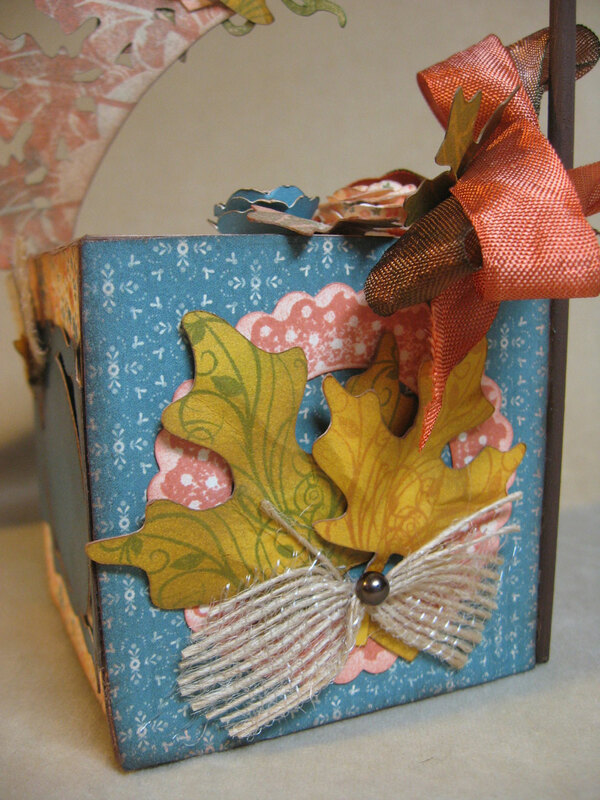 Today's featured paper pack is Clementine and the projects are a tall gift box and a pretty display piece for the Thanksgiving table. 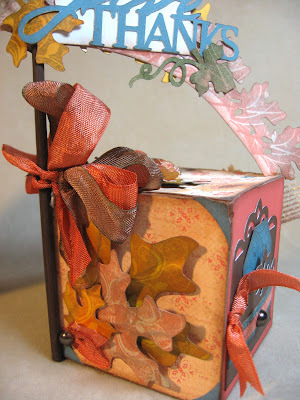 The tall gift box is featured on page 40 in the Artiste booklet and I made mine 5 inches. It's probably and easiest little box you can assemble because it's just one large piece, then two pieces for the base and the lid. 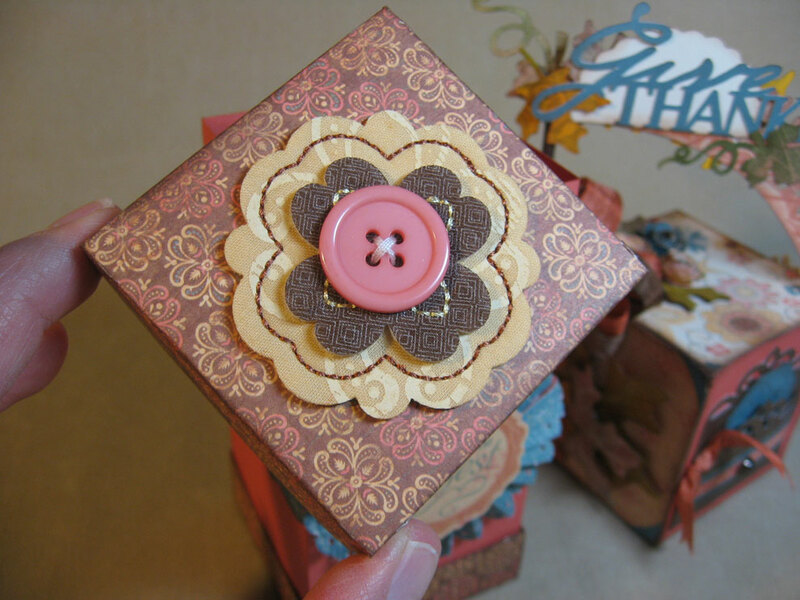 The pretty rosette on the front of the box is on page 55 in the booklet cut at 1 1/4 inches. I added one of the adorable Cottage Assortment embellishments to the top of the lid. 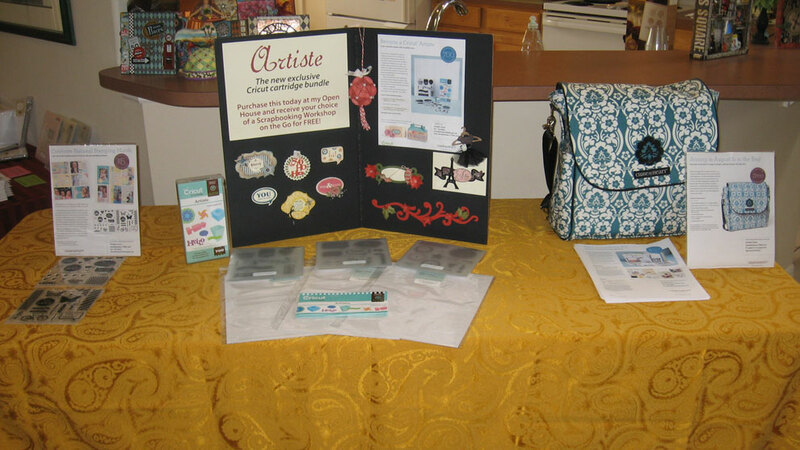 These are great because they are made of fabric with a batting layer and have stitching plus a threaded button. 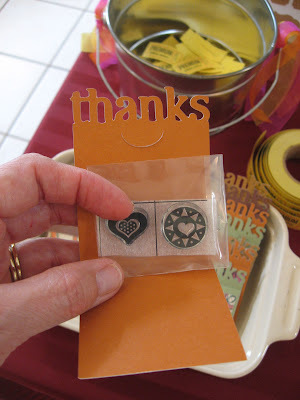 With a peel and stick backing, these are so easy and fun to just pop onto a project or card. 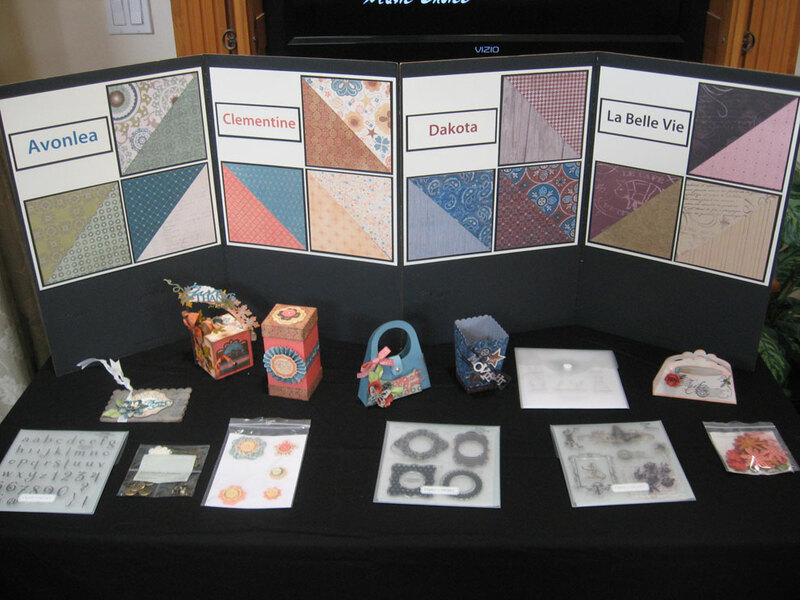 There is so much detail in DiAnn's display piece. She started with a My Creations Block and built around it with all sorts of Artiste cuts like the leaves, Give Thanks, the little pocket and pull-out tag, and the arched banner of leaves which is one of the seasonal cupcake liners. How clever! 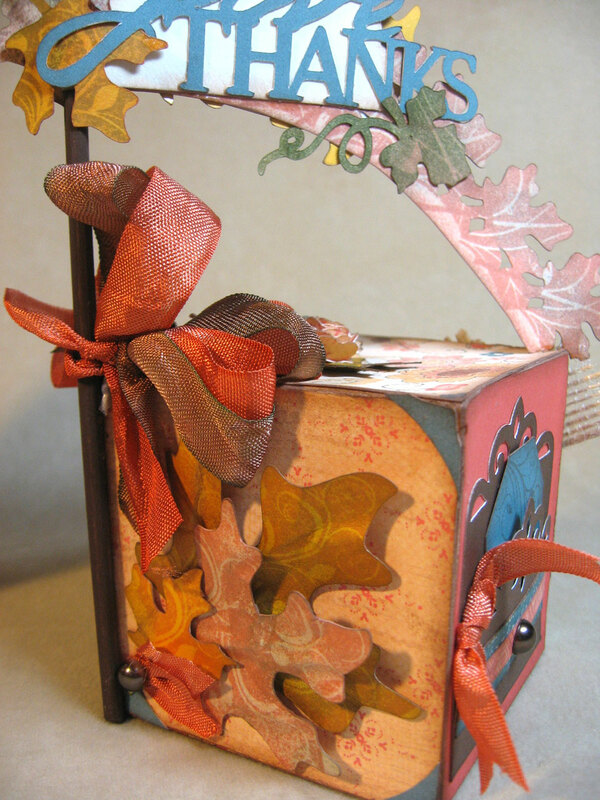 DiAnn colored our Color Ready Seam Binding ribbon with warm colors like Sorbet and Chocolate to coordinate with the Clementine paper. 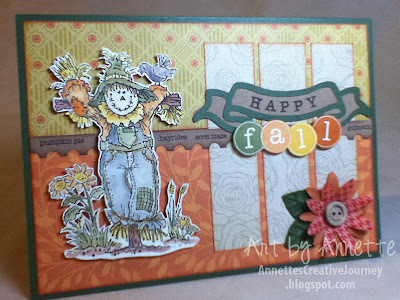 And her leaves on this side are stamped and inked and then DiAnn used an embossing stylus on a soft mat to add dimension and shape to the normally flat leaves. Stay tuned tomorrow for more Artiste samples! 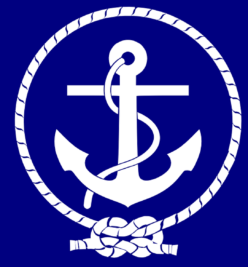 Meanwhile, have a great day and let me know what you think of the projects. My daughter officially survived her first week of high school last week and is now coming home with a smile on her face and TONS of stories to share about new friends, weird people, and funny things that happened throughout her day. What a relief. I could feel her tension last week. But all is well, as I knew it would be. So with school in session and a new Close To My Heart paper line called "Scholastic" there is plenty to create for the student in your life or just for fun. 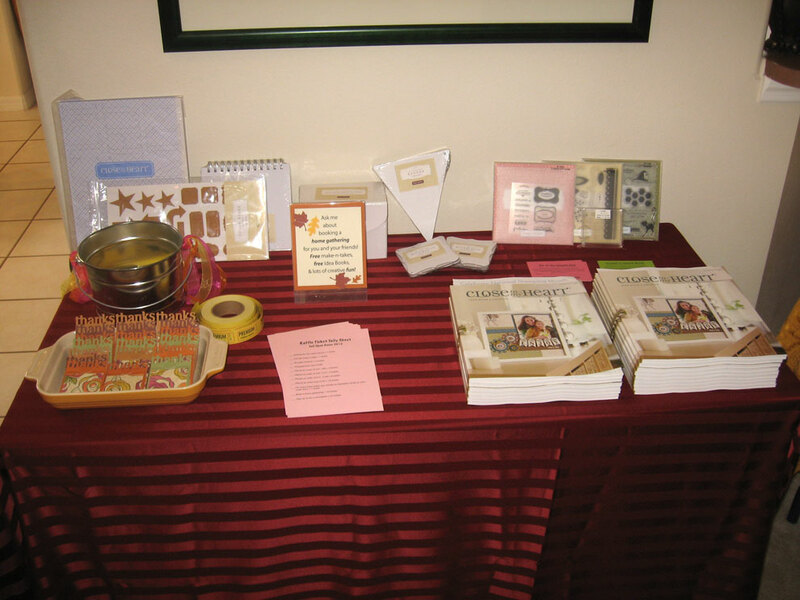 You can check out all the papers in the Scholastic paper pack here. 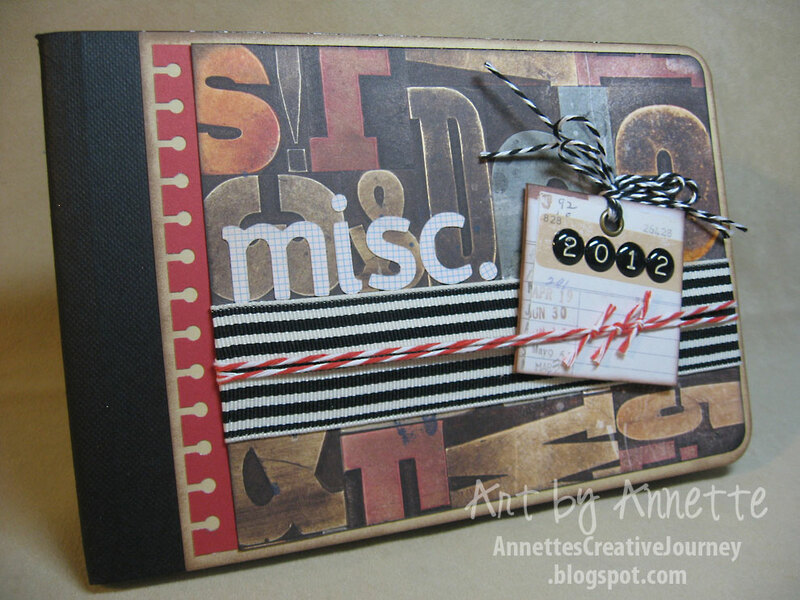 My Cards & More Club will be making these two cards and this altered book this month all made with Scholastic papers and coordinating embellishments like our new Memo Assortment. 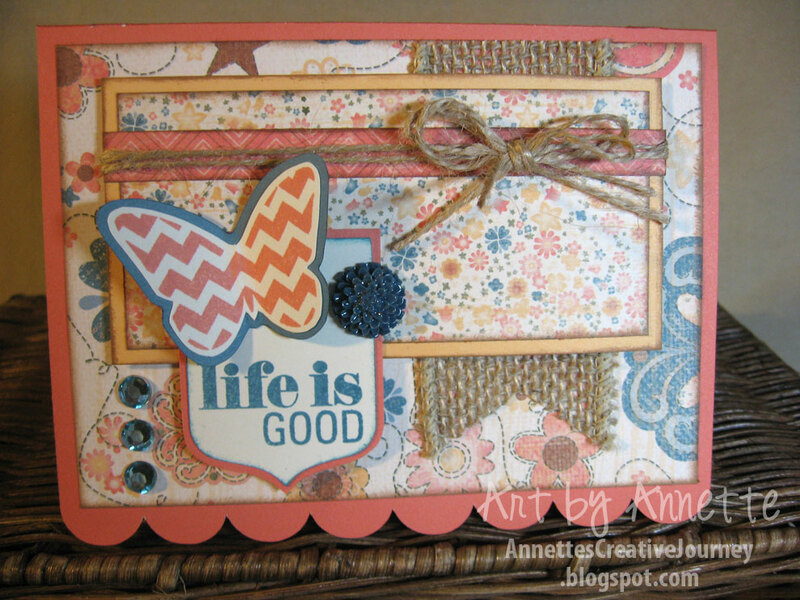 The Happy Birthday card might look familiar if you are a regular follower of my blog. It was my Stamp of the Month Blog Hop card. You can view it here in case you missed it. 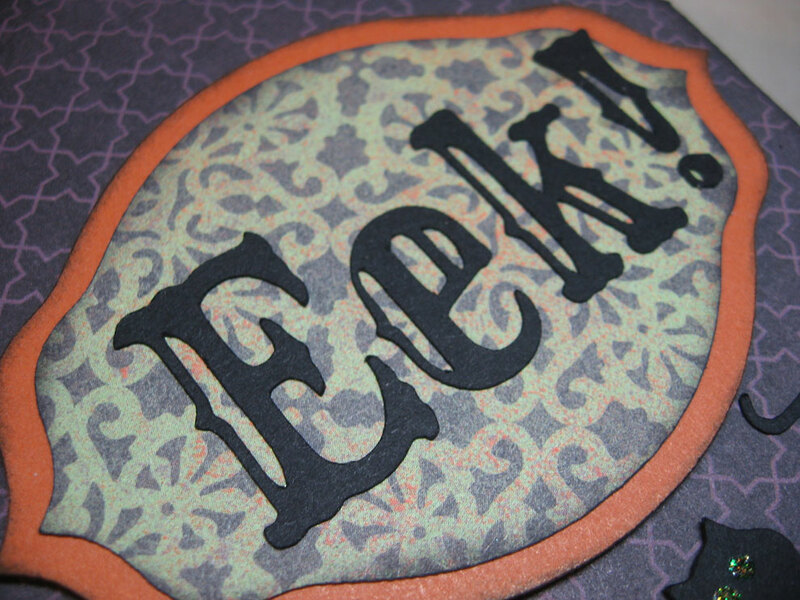 This file folder is a cut on the new Artiste Cricut cartridge, which is exclusive to Close To My Heart. It's filled with tons of 3D projects, plus great card shapes, tags, borders, an alphabet and much more. 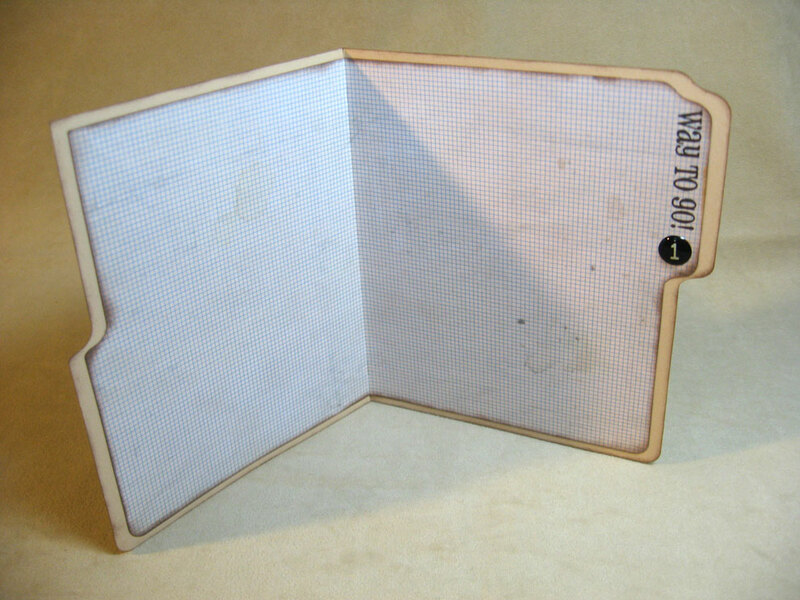 The file folder card was cut at 5 1/2" and the liner of the card was cut 1/4" smaller. New Harvest Baker's Twine, and there's one of those Memo Assortments I was talking about. 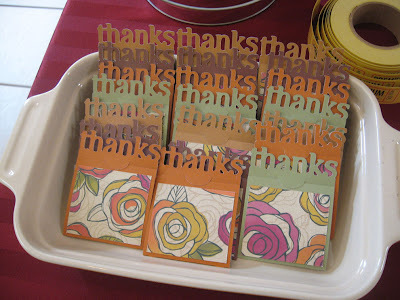 They're great because they are thick and sturdy like a chipboard tag. Easy to stamp on, ink or layer. I just love the library card images on the B&T paper here. The hot air balloon is also on the Artiste cartridge. What fun, eh? 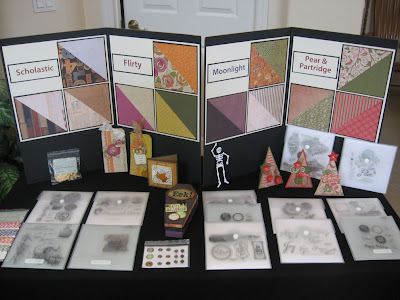 The final project is an altered book. When I was first coming up with designs for my third project, I kept thinking of a composition book and how it is the quintessential back-to-school item. So for inspiration, I went to good old Pinterest and found all kinds of images of altered comp books, but nothing really lit my fire. Then I saw a photo of one cut clean in half! Now we're talking! 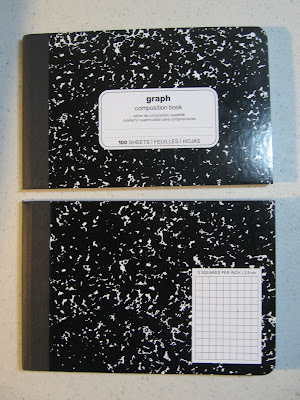 Off to Office Depot I went to buy my composition books. I know the ruled ones are super cheap, but I really like the graph paper ones and since I was cutting them in half, they essentially were half price! I read online that office stores can cut them for you, so all I had to do was ask and they were happy to help for only 75¢ per book. Sweet! Call me silly, but these kinds of things make me supremely happy!! Okay, so they didn't do the best job cutting them perfectly in half, but I wasn't going to complain. I can adjust for my class accordingly. I took out my Corner Chomper and rounded off the top corner to match the bottom, then chomped the pages inside as well. 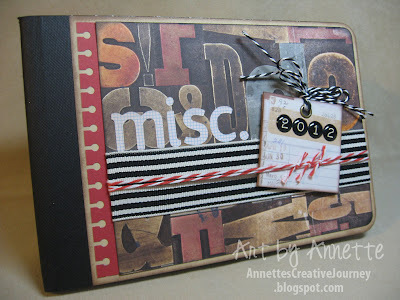 Covered it with Scholastic paper, ribbon and twine, and another Memo Assortment tag. 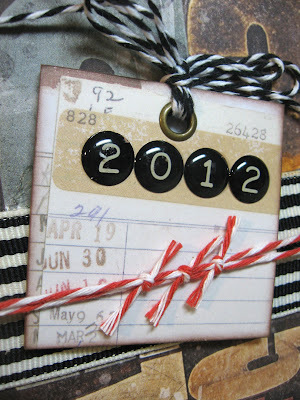 The Memo Assortment pack includes these epoxy number stickers too. The new Artiste cartridge also has this great sans-serif font. I like how it looks in all lower case. More and more to come in the next handful of weeks, so be sure to check back. Let me know what you think of the projects, the Scholastic paper, and if your kid is back in school yet and how it's going. I'd love to hear.